Pirates of the Caribbean originally opened at Disneyland, Anaheim in 1967, and it was the last attraction to be overseen directly by Walt Disney. Unfortunately, Walt didn't live to see it completed, but it is considered to be one of his most beloved projects nonetheless. 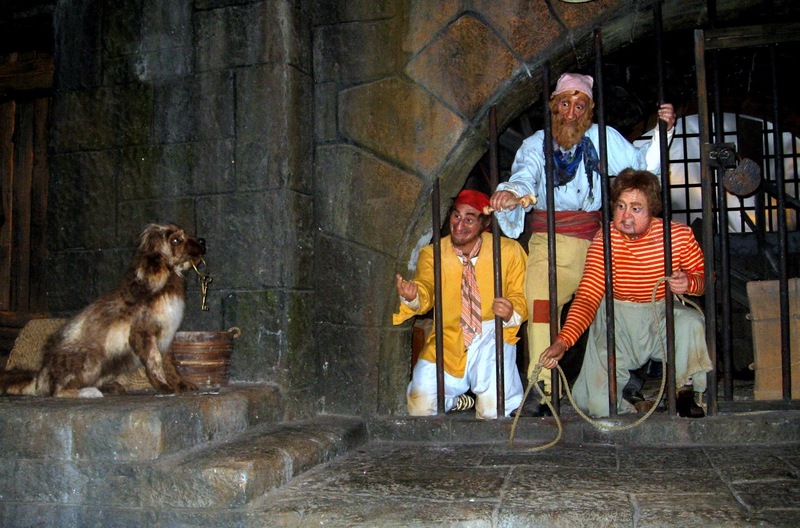 In 1973, a duplicate POTC opened at Florida's Magic Kingdom. 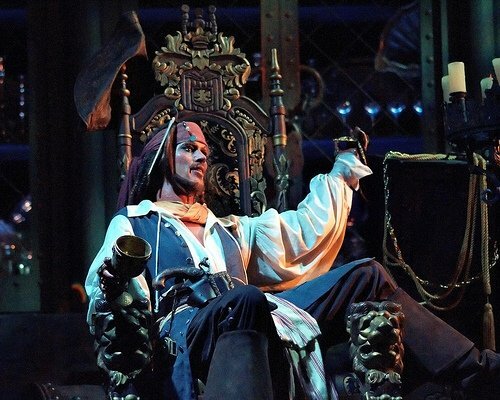 Popularity has never wavered from POTC, and the addition of the movie series only bolstered the appeal of the franchise. Most of the queue and the attraction itself are housed within the Spanish-styled fort, Castillo del Morro. The queue winds throughout the dark, cool cavernous fort, with a wealth of interesting scenes to admire as you pass. 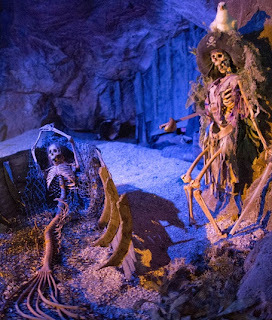 They really did a fantastic job in theming and atmosphere, well before you are even on the ride itself. 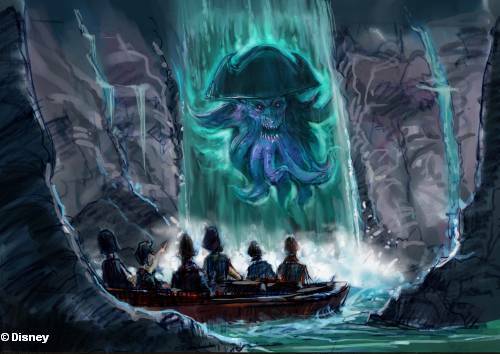 Cast Members load about 30 people at a time into each of the 15 boats for an eight and a half minute voyage. Your adventure leads you through battles in the high seas, a wench auction, and an overall assortment of scenes of pirate plunder. One really has to appreciate the painstaking detail and planning that went into POTC. 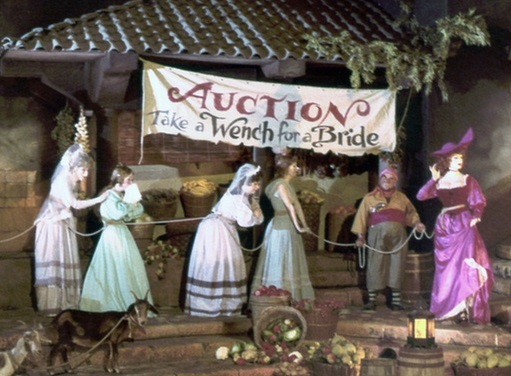 It is impossible to pick a single stand-out scene in this attraction. No matter how many times I experience this one, I am always impressed with the massive open cannon battle, the burning of the Caribbean city, the silly debauchery among the frenzied drunken pirates and the ladies they persue, and of course, everyone's favorite little pooch who holds the keys to the captured pirates' jail cell at ride's end. 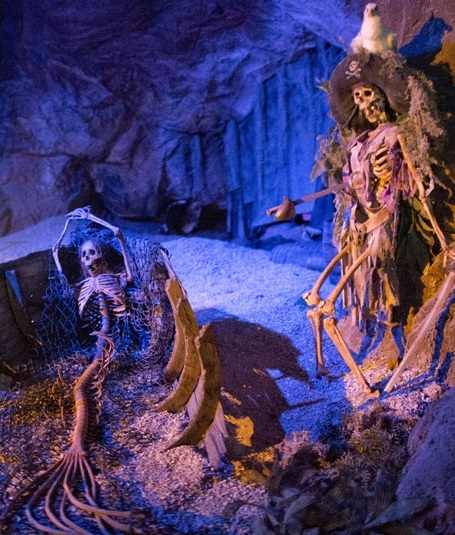 You have the unique opportunity to get closer, more detailed looks at Disney's famed audio-animatronic figures here at POTC. It really helps you to appreciate these modern marvels, and what must have gone into making them. 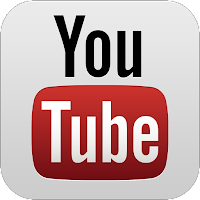 Take special notice of the pirate hanging his very hairy, bare leg over the bridge he's sitting on as your boat passes underneath. The detail is mind-blowing! 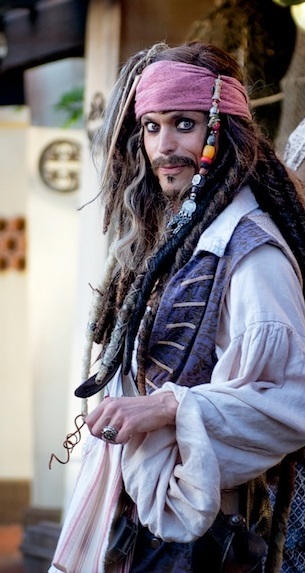 And... speaking of audio-animatronics, with the success of the POTC films, Disney made the decision to add a few Where's Waldo-ish versions of Johnny Depp's Captain Jack Sparrow throughout the ride. 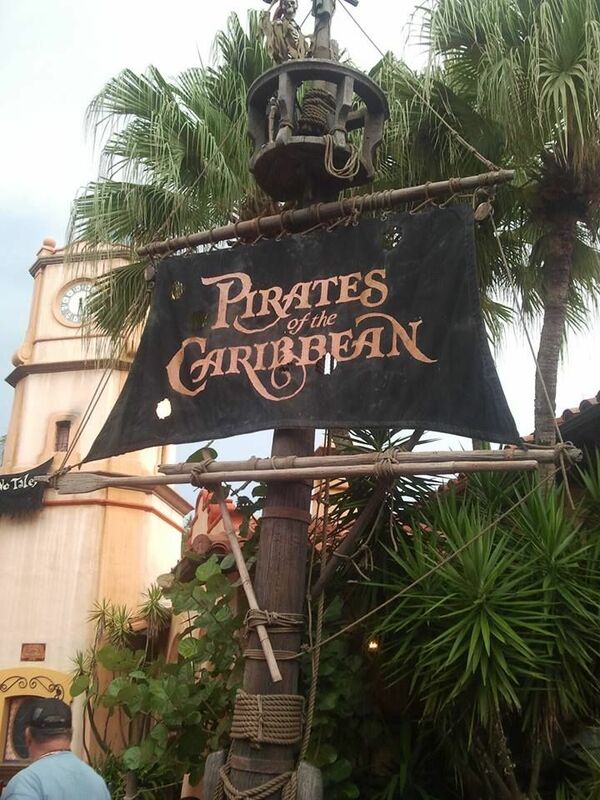 Keep an eye out for his appearances in a barrel, peeking around behind a rival pirate, and near ride's end, amidst his pirate booty! If you can't get enough Sparrow, make a pit stop at the stage outside of the attraction where he joins fellow pirates in teaching park guests the ways of the pirates (very similar to Jedi Academy at Studios).